The countdown to IBC week has begun! This year PROGIRA is organizing a cosy party to celebrate the launch of PROGIRA manager. We have special cold cuts only available from the North of Sweden, flown in specially for our guests. So do join us for some party time at our stand 8.A50, on Saturday 15 September, from 4:30 pm till 6pm. Of course, we have drinks too! 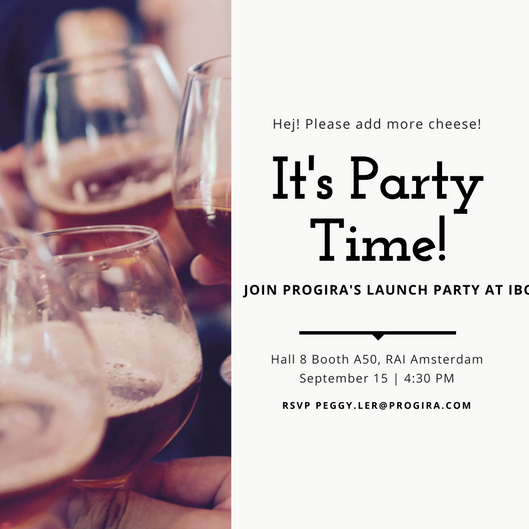 PROGIRA manager will also be available for demo on our stand during IBC. Catch a glimpse of it in action during IBC!